Pulmonary hypertension is the condition in which the blood pressure inside the pulmonary artery is too high. The pulmonary artery is the large blood vessel that carries blood from the heart's right ventricle to the lungs, where it picks up oxygen. The pulmonary artery is normally a low-pressure blood vessel, with an average blood pressure between 8 and 20 mmHg at rest. If the resting average blood pressure in the pulmonary artery increases to more than 25 mmHg, pulmonary hypertension is said to be present. Pulmonary hypertension is always a serious medical condition, and if it becomes severe it can be very disabling and even life-threatening. Optimal treatment is essential. So if you have pulmonary hypertension, you should be under the care of an experienced cardiologist and/or pulmonologist (lung disease specialist). Mild pulmonary hypertension usually causes no symptoms, but as the pressures in the pulmonary artery increase, shortness of breath, weakness, lethargy, and fatigue become common. If the condition becomes severe, chest pain, severe edema (swelling), and syncope (fainting or loss of consciousness) can occur. 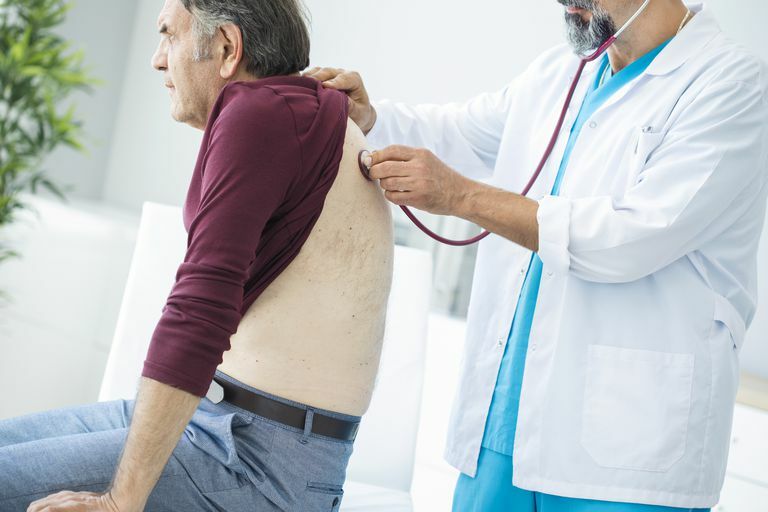 Several medical problems can produce pulmonary hypertension, including heart disorders, lung disorders, drugs, and connective tissue diseases. If your doctor thinks you may have pulmonary hypertension based on your medical history or your physical examination, he or she will typically order an echocardiogram study. The echocardiogram can provide a good estimate of the pressure inside the pulmonary artery, and may also help to uncover the underlying cause of pulmonary hypertension. If the echocardiogram shows pulmonary hypertension but does not clarify the cause, an additional medical work-up will be necessary. Many medical conditions can produce pulmonary hypertension, so this work-up might include many different kinds of tests, depending on the cause(s) your doctor may suspect. Looking aggressively for a specific cause is very important, however, because optimal treatment for pulmonary hypertension is based on the underlying medical disorder. How well patients with pulmonary hypertension do depends on several factors, including how high the pulmonary artery blood pressure is, the underlying cause of the pulmonary hypertension, and the age and general medical condition of the patient. But in all cases, pulmonary hypertension is potentially a very serious condition. Once the pulmonary hypertension becomes severe enough to begin producing symptoms, death often occurs within three to five years without aggressive treatment. The optimal treatment for pulmonary hypertension depends on the underlying cause and the severity of the condition. In most cases, the earlier the treatment is begun, the better. Pulmonary hypertension is always a worrisome medical condition that often has a very bad outcome. If you have pulmonary hypertension, it is important that your doctor work aggressively to determine the exact underlying cause, and then institute appropriate therapy as early as possible. Badesch, DB, Champion, HC, Sanchez, MA, et al. Diagnosis and assessment of pulmonary arterial hypertension. J Am Coll Cardiol 2009; 54:S55. Rich, S. The value of approved therapies for pulmonary arterial hypertension. Am Heart J 2007; 153:889.